If you look at my restaurant map of London, you will notice that I largely tend to stay around Soho. It has an abundance of amazing restaurants, it’s easy to get to from everywhere, and importantly, it’s quick to get home in the evenings. It takes a good reason to make me stray from the familiar, but the menu for The Painted Heron was just that. And whilst it did take me two hours to get home afterwards (I love London, but I hate TFL! ), the experience was nonetheless pretty special. London’s three days of blistering heat had just begun, and so I walked from South Kensington station down to the river, where The Painted Heron is located. I was enjoying the fresh air so much that I was overjoyed when the waitress didn’t keep me inside, but led me instead to their small and beautiful terrace. 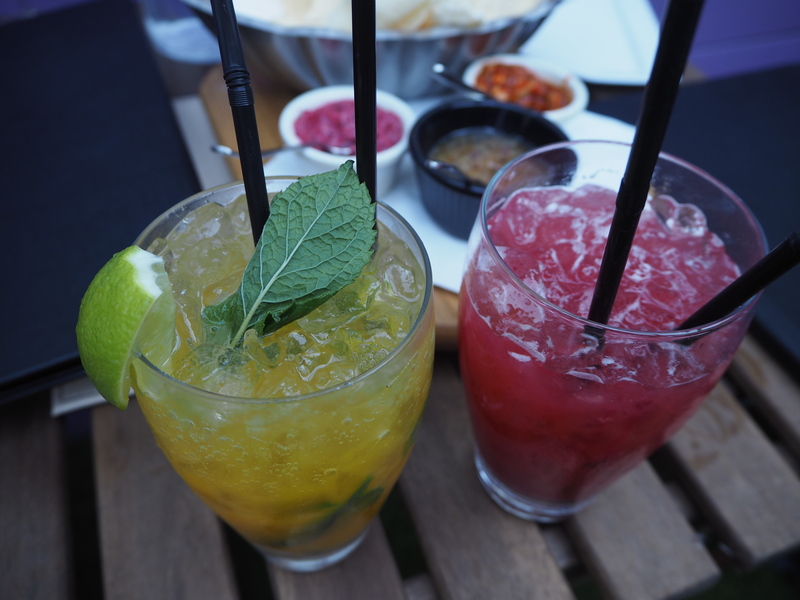 The balmy evening called for a cocktail, and we ordered the mango mojito and strawberry breeze. Both were gorgeously fruity and fresh, which is just what we wanted! 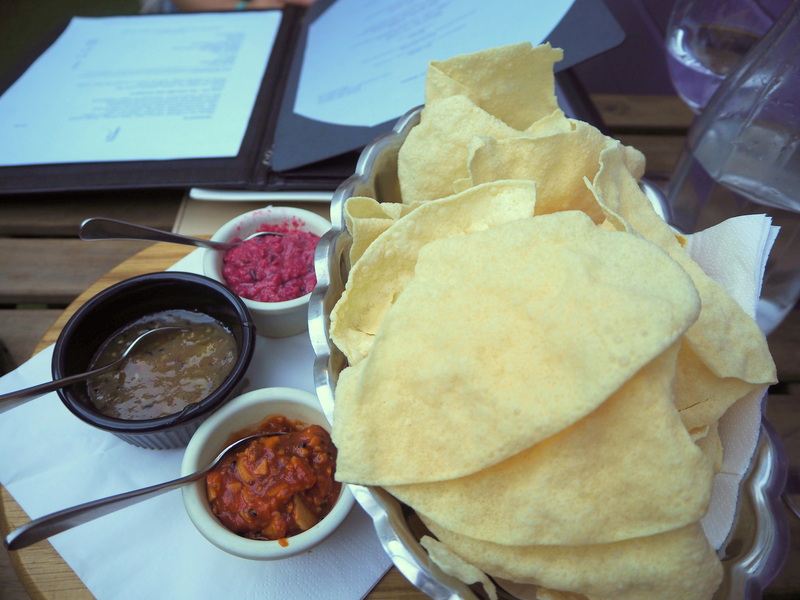 We munched on some pappadums to start, with amazing chutneys to go with it. I thought it was cheeky to charge for these at first, but the chutneys were simply divine, and definitely worth the £3.50! 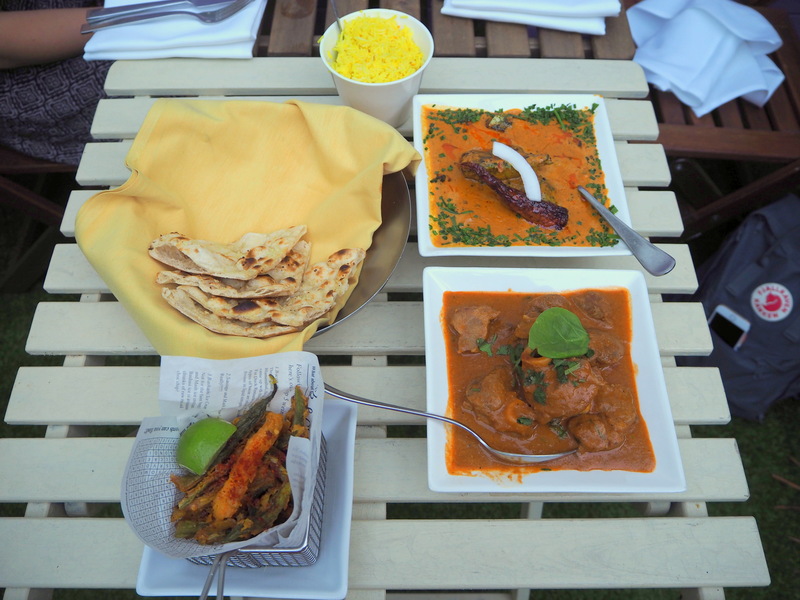 The menu was definitely modern Indian, as they had traditional options as well as some off-piste ones (mango spring rolls? Pheasant? Wild boar jungle curry?). We hummed and hawed for ages, but finally decided on the Wagyu kebabs and Pollock fish tikka to start. 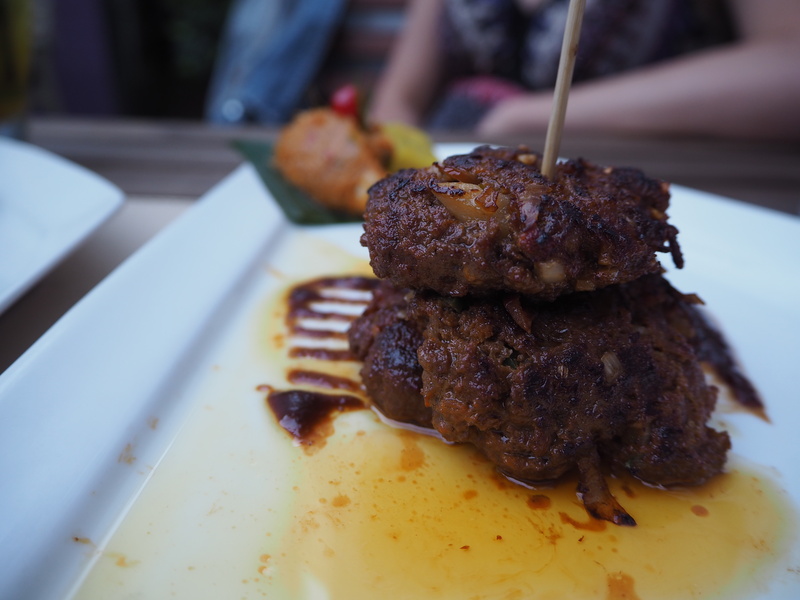 The kebabs were absolutely divine, though they were more like mini hamburger patties than traditional kebabs. They had just the right hint of spice (though I did down my cocktail a little faster than I had planned), and the meat was so tender that it fell apart at the touch of a fork. 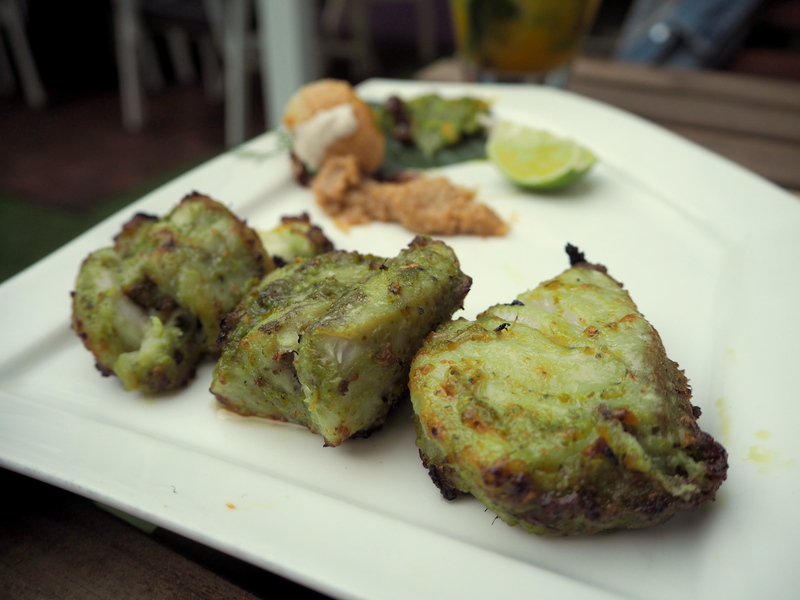 Unfortunately, the fish tikka was too salty, and we couldn’t finish it for this reason. I adored the chutney on the side, though! 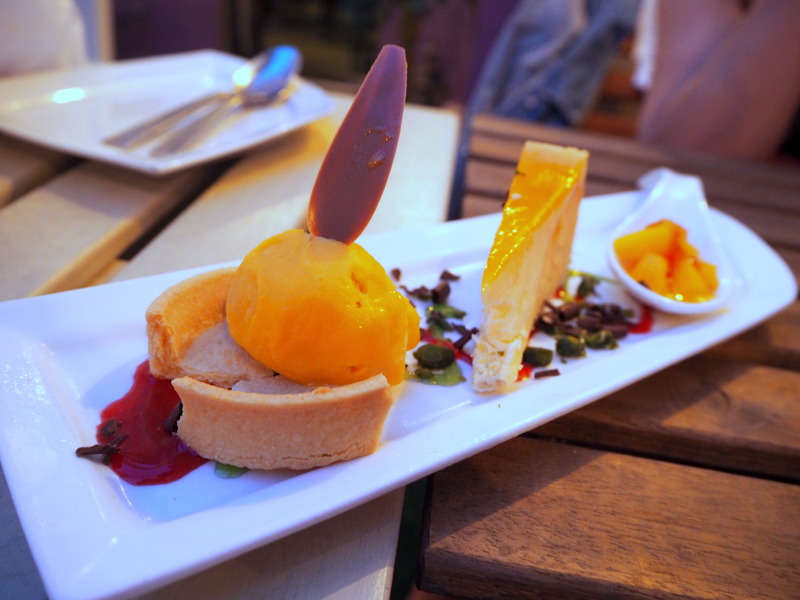 The service was superbly friendly, recommending dishes to us when we were overwhelmed by the menu, and checking on us frequently without being overbearing. The smiles on their faces were so genuine, and they had us chuckling throughout the evening! When our mains arrived, we had to pull up an extra table to make room… Slightly embarrassing, but necessary! The lamb shank curry was pure heaven. 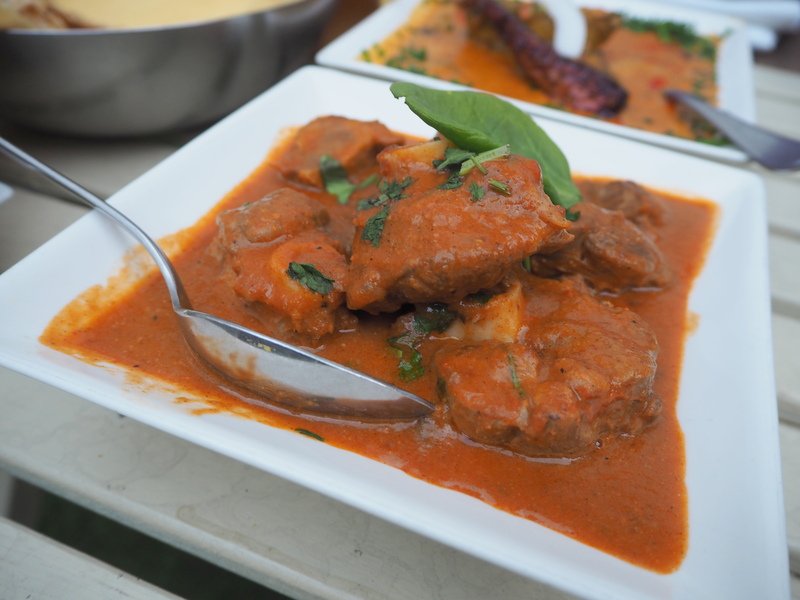 Succulently tender pieces of lamb, with a fresh and spicy sauce, this was by far my favourite dish of the night. And although my appetite let me down slightly and I couldn’t finish it, they kindly let me take it home, and it tasted even better for lunch the next day! 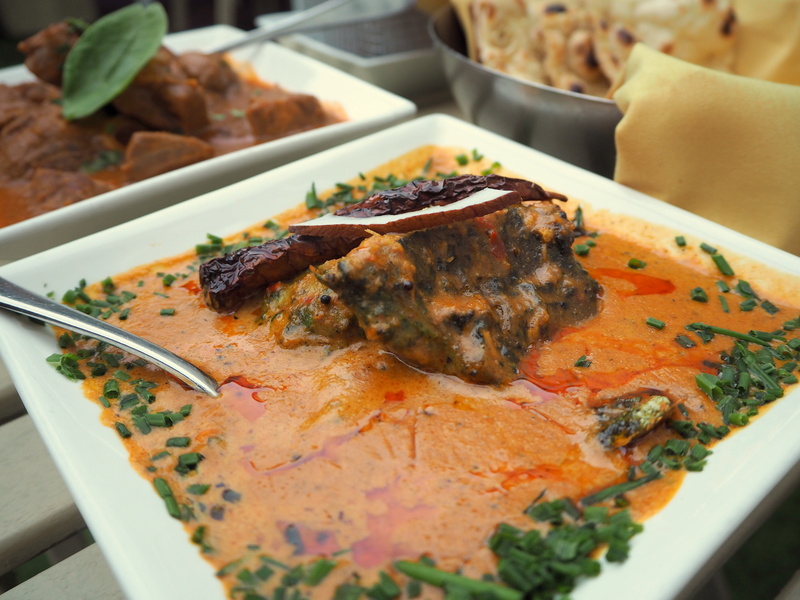 My friend chose the sea bass in coconut milk, a brightly-coloured curry that was packed with flavour. She loved it. I liked it a lot, but preferred the lamb, which ended up working out perfectly for both of us. 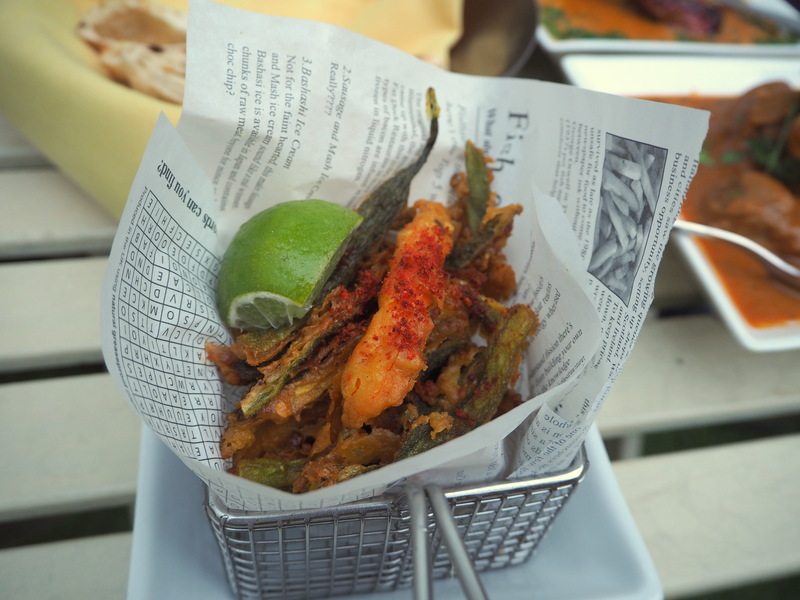 The crispy asparagus, okra, sweet potato, chilli dust was superb, and I liked it more than the version I tried at Bangalore Express recently, as this one had less batter. It looked slightly out of place on the table, as it was served in a hipster fish’n’chips style basket, but I rather enjoyed the gimmick. 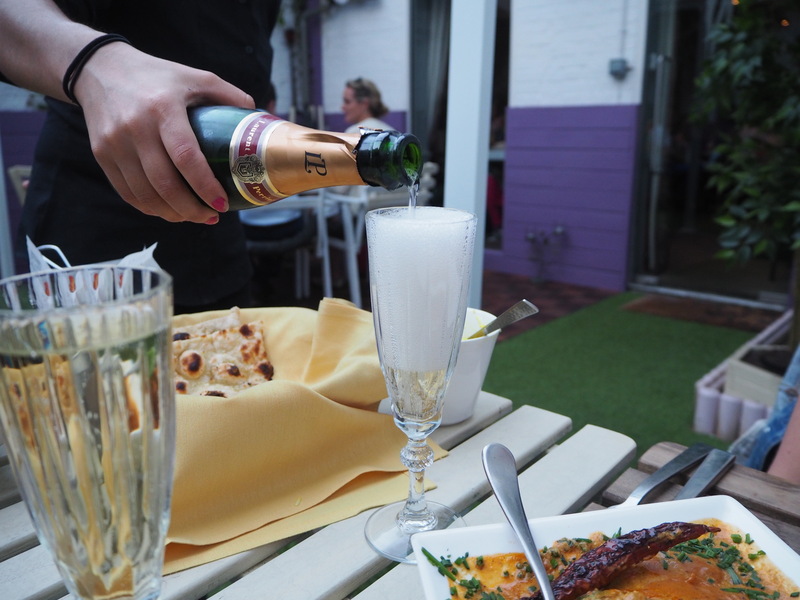 As it was truly and officially summer, we decided to indulge in some champagne after our cocktails. 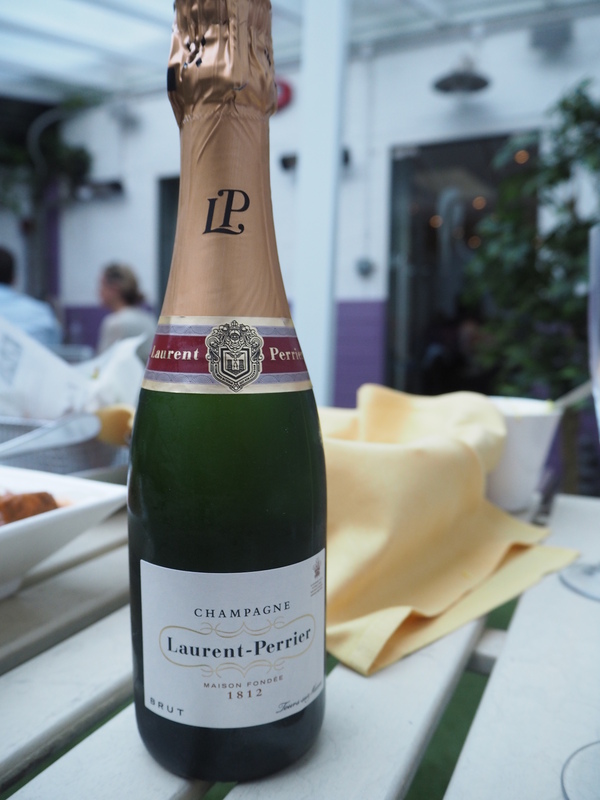 I think this was the first time I had tried Laurent-Perrier, but I truly hope it won’t be the last… it was absolutely heavenly and just perfect for the relaxing evening! 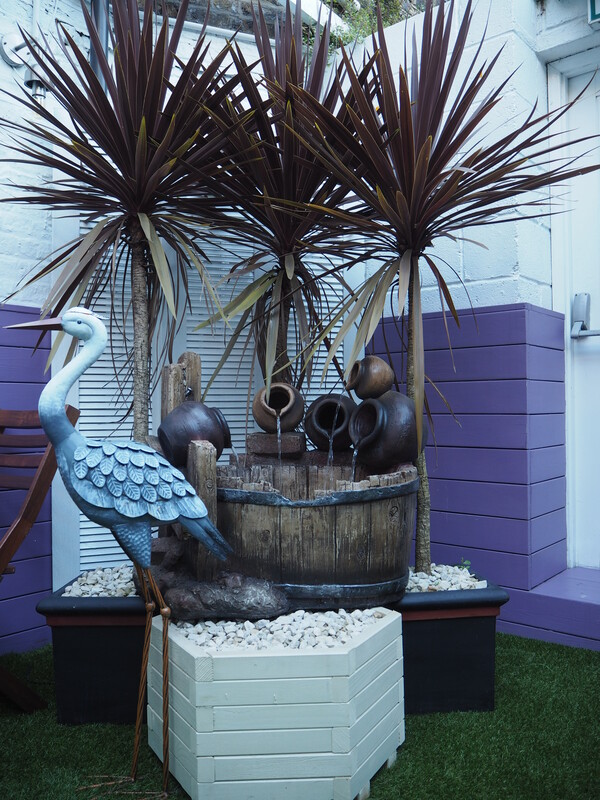 I loved walking through Chelsea on my way to The Painted Heron, as it was so calm and quiet, in contrast to Camden and Soho, where I spend most of my time. It almost felt like I had left London entirely and was wandering through an idyllic village. 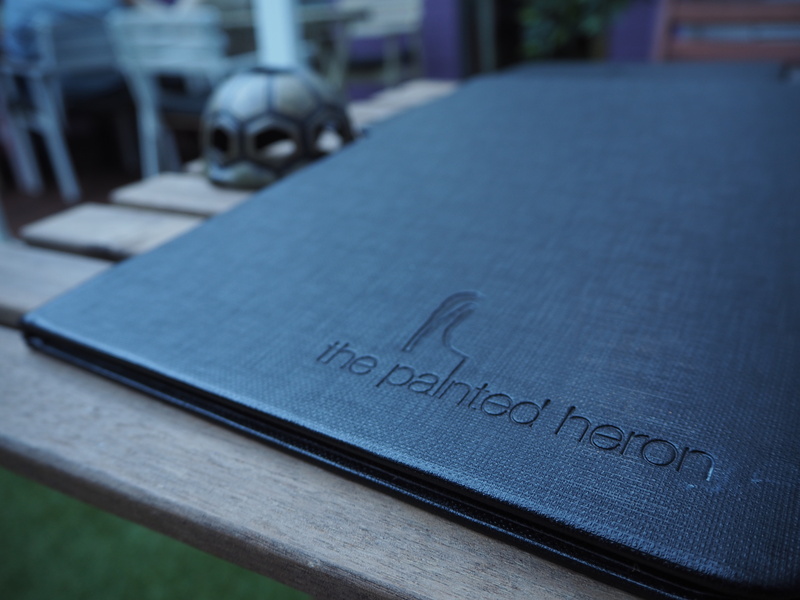 I walked past a huge number of interesting restaurants, so I’m sure I’ll be returning this way soon, if only to try some more of the items on The Painted Heron’s eclectic menu, and enjoy their terrace! I was a guest at The Painted Heron, but my views are, as ever, entirely my own. Especially my new-found love for Laurent-Perrier. And my distaste for overly salty fish. What a culinary delight this blog is! I could almost taste each mouthful. Lovely pics of delicious food! And welcome to the Laurent Perrier fangirl group!